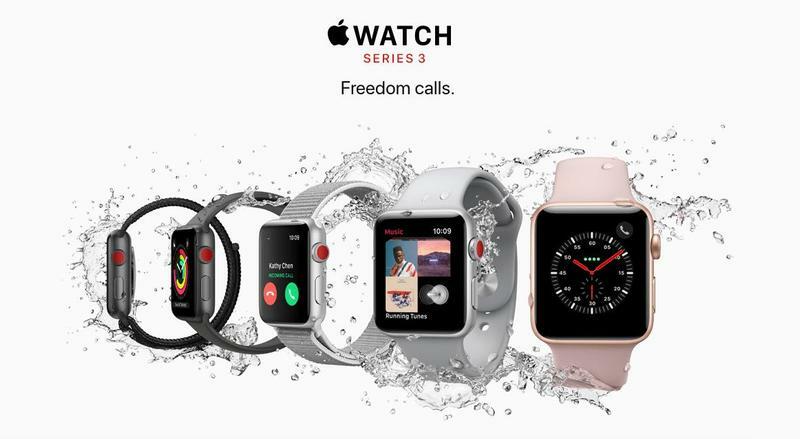 We now know how the major U.S. carriers are going to sell the Apple Watch Series 3 with LTE. Verizon, AT&T, T-Mobile, and Sprint have announced they will offer Apple's LTE-enabled smartwatch plan for $10 per month. Apple lists the carriers on the product's listing online. The pricing for the Apple Watch Series 3 might be different than what you're familiar with. T-Mobile usually has wearables priced as a $5 per month add-on, but anything that uses your existing phone number raises the monthly fee to $10. AT&T and Sprint follow a similar policy. But Verizon is totally changing its policy to accommodate the new Apple Watch. Its $5 per month is now $10. All of these changes are being made because the Apple Watch Series 3 can field calls even when your iPhone is not present. All four carriers have also agreed to offer the same promotion to early adopters. If you add the new model to your current plan, they'll give you three months of free access. That's $30 in savings for Verizon, AT&T, T-Mobile, and Sprint customers. Apple and its partners will begin taking pre-orders on September 15, and the Apple Watch Series 3 will be released on September 22.